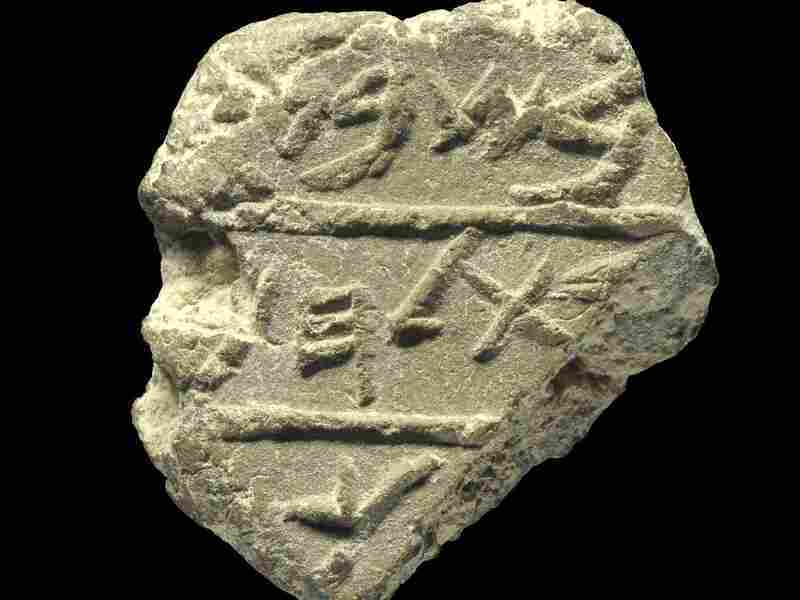 Dig Finds Evidence Of Another Bethlehem Archaeologists are unearthing evidence that the city of Bethlehem, in the West Bank, celebrated as the birthplace of Jesus, may not have been the actual Bethlehem of his birth. They have discovered a Bethlehem that existed in the Galilee near Nazareth. Thousands of Christian pilgrims streamed into Bethlehem Monday night to celebrate the birth of Jesus. It's the major event of the year in that West Bank town. But Israeli archaeologists now say there is strong evidence that Christ was born in a different Bethlehem, a small village in the Galilee. About 100 miles north of where the pilgrims gathered, shepherds still guide their flocks through green unspoiled hills, and few give notice to the tucked-away village with the odd sounding name: Bethlehem of the Galilee. But archaeologists who have excavated there say there is ample evidence that this Bethlehem is the Bethlehem of Christ's birth. "I think the genuine site of the nativity is here rather than in the other Bethlehem near Jerusalem," says Aviram Oshri, an archaeologist with the Israel Antiquities Authority which has excavated here extensively. He stands on the side of a road that now cuts through the entrance to the village. It was the construction of this road that led to the discovery of the first evidence that Bethlehem of the Galilee may have had a special place in history. "It was inhabited by Jews. I know it was Jews because we found here remnants of an industry of stone vessels, and it was used only by Jews and only in the period of Jesus," Oshri says. He also found artifacts which showed that a few centuries later the community had become Christians and had built a large and ornate church. He says there is significant evidence that in early Christianity this Bethlehem was celebrated as the birthplace of Christ. The emperor Justinian boasted of building a fortification wall around the village to protect it. The ruins of that wall, says Oshri, still circle parts of the Galilee village today. He thinks many early scholars would have concluded that this Bethlehem was the birthplace of Christ. "It makes much more sense that Mary rode on a donkey, while she was at the end of the pregnancy, from Nazareth to Bethlehem of Galilee which is only 7 kilometers rather then the other Bethlehem which is 150 kilometers," Oshri says. He adds there is evidence the other Bethlehem in the West Bank, or what Israelis call Judea, was not even inhabited in the first century. Paula Fredriksen, an American scholar of the historical Jesus, says that early Christianity only started to pay attention to the Judean Bethlehem in the fourth century, when the Emperor Constantine declared Christianity the official religion of the Roman Empire. "The Bethlehem that's the only Bethlehem that matters for the tradition is David's Bethlehem," Fredriksen says. "And David's Bethlehem quite specifically is in Judea." Oshri draws similar conclusions. He says that for devout Christians, the story of Jesus and his birth is inextricably linked to the internationally known city of Bethlehem. How does Oshri think Christians would react to finding out that Bethlehem that they thought about is wrong? "I don't think it will have any influence," he says. "The tradition is one thing. People will go on believing. And I can understand it."